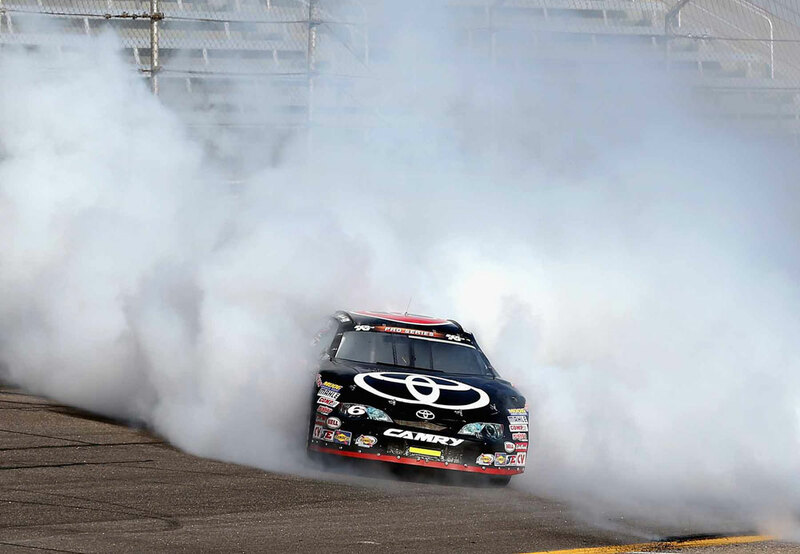 Kyle Larson chalked up winning the NASCAR K&N Pro Series East championship to luck and consistency. He needed a little of both to win the season finale race at Rockingham Speedway in North Carolina. 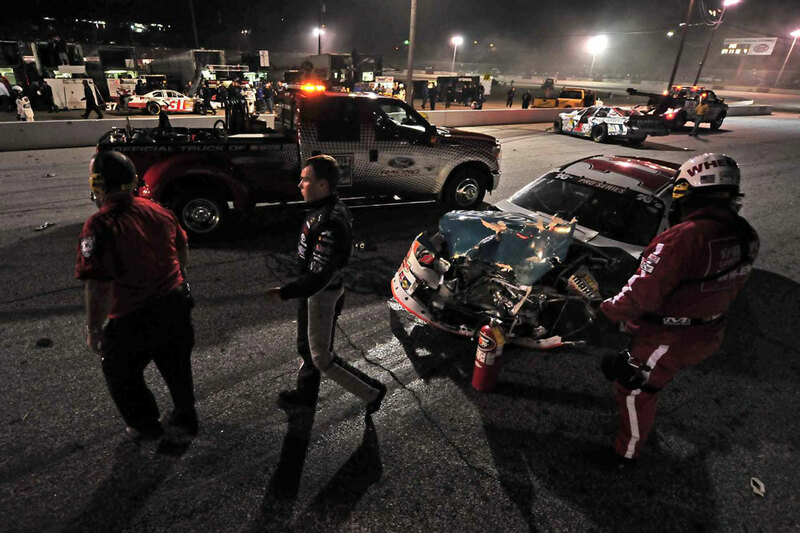 Larson finished in sixth place in the Classic 3 Championship presented by RCR Racing Museum after the leaders collided and knocked one of the K&N Pro Series East Series championship contenders out of the race. 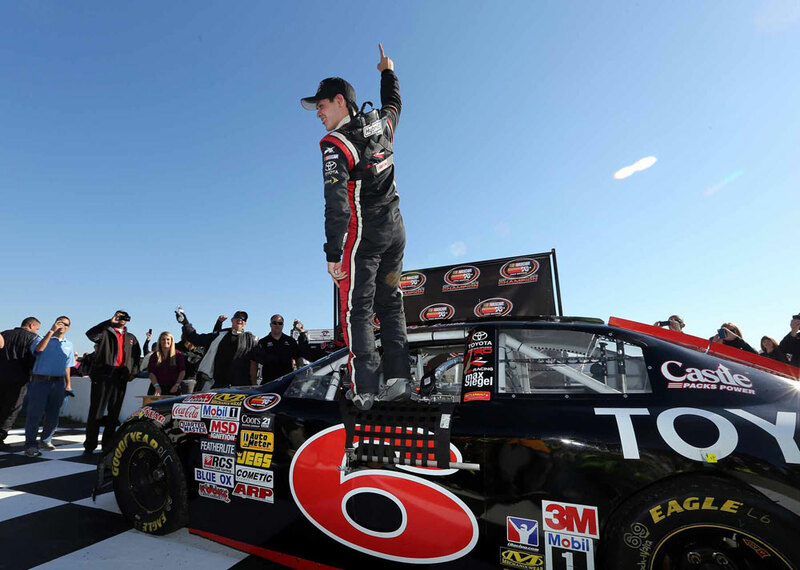 Larson won his first K&N Pro Series East championship by 15 points over Corey LaJoie. 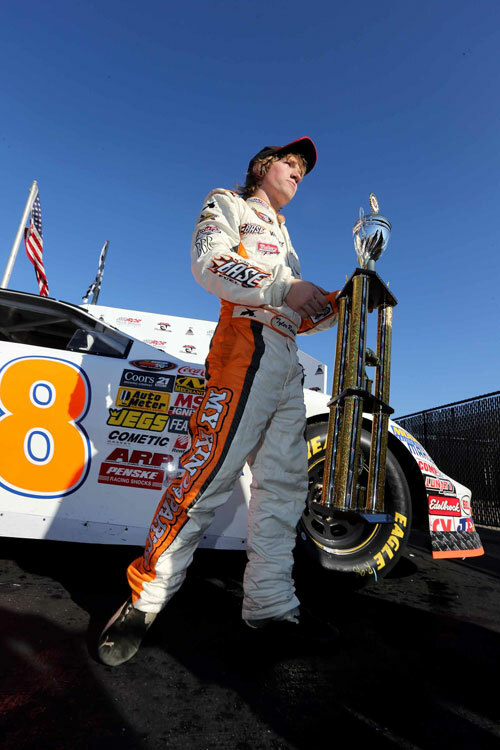 Rookie Tyler Reddick, a 16-year-old from Corning, California, won the race in his K&N Pro Series East debut. It was only his third career start on asphalt. His previous two starts came in the ARCA Series. Reddick was battling Brett Moffitt for the lead on the last lap of the race. Moffitt and Reddick's cars made contact coming out of turn two and knocked Moffitt out of the race. He entered the season finale in second place in the K&N Pro Series East standings and would have won the championship if he was able to hold on to the lead. "All in all it was a really good race," Reddick said. "It's a shame me and the 11 (Moffitt) got together. I had a really good run coming off of (turn) 4. I got along side of him going into 1 and 2. I don't know what happened, but he should have known I was going to be right on the outside of him. He just kinda of run me up the race track and I wasn't going to give it to him." LaJoie was also in contention for the K&N Pro Series East championship and finished in second place. "I thought I had Tyler and Brett was pretty much gone," LaJoie said. "I didn't think he was going to get there, down the front stretch, I was like, uh-oh, this this might be interesting. I might get lucky." LaJoie made it through the crash, but so did Larson who finished high enough to secure the K&N Pro Series East championship. "I've been lucky a lot this year," said Larson, who joins Joey Logano and Ryan Truex as the only drivers to win the rookie of the year and the K&N Pro Series East championship in the same season . "Just made up for Corey and Brett's messes that they gotten into a lot this year. Gained some points and stayed consistent and got the championship. It feels great." Larson won two races and had a season-high, 12 top-10 finishes in his championship season. "This track is great," said the 20-year-old Larson from Elk Grove, California "You can run it from top to bottom and run side by side. You can run anywhere on this track and be just as good. It's a lot of fun. I wish there were more race tracks like this." 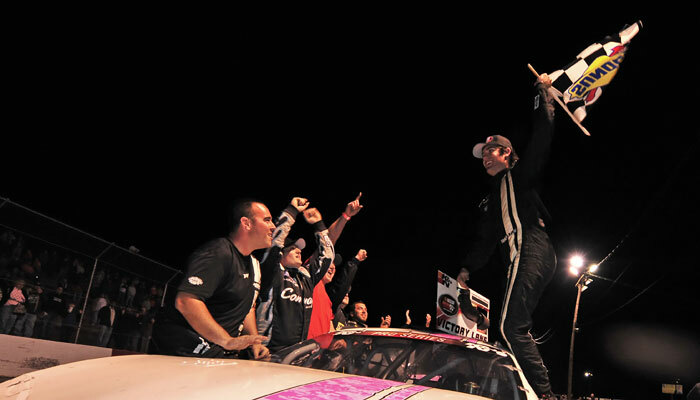 Reddick joined an elite group of drivers in the K&N Pro Series East. He is the first driver to win in his debut since Nelson Piquet Jr. won the 2012 season opener at Bristol Motor Speedway. Darrell Wallace won in his NASCAR debut at Greenville Pickens Speedway in South Caroline in 2010. But Reddick's win was not without controversy. "If you're racing for points, you just don't take that type of chance," Reddick said. "If someone's alongside of you, you know they're going to be right there with you coming off the corner. I just wish he would have left me a car length. I wish it had been a clean race. It had been all day for us, but it just didn't turn out that way." 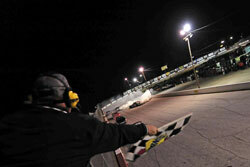 Moffitt led 15 laps in the race, taking over the lead on lap 85 of the 100-lap race. He ended up in 21st place after colliding with Reddick. 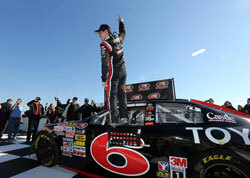 LaJoie won a series-high five races and was in the top-five in 10 of the 14 races on the K&N Pro Series East schedule. "All in all, it's been a great season," LaJoie said. "I can't say enough about all the people who help us. It's been a long year. It's been a fun year. I was just glad to be a part of this deal."